Marcel Wissenburg (*Arnhem 1962) started out as a student of political science at the University of Nijmegen, the Netherlands, in 1980, switching in 1985 to philosophy and (with a brief stopover at Leiden University in 1987-8) political theory. He graduated in 1988 as a political theorist with an MA thesis on Karl Popper's anti-utopianism, and as a philosopher with an MA thesis on William Morris' and Edward Bellamy's utopias. 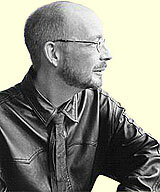 He completed his PhD at the University of Nijmegen in 1994. From 1990 on, he held various positions in the Faculty of Management Sciences at the Radboud University Nijmegen: junior researcher (1990-1994), postdoctoral research fellow of the Netherlands Foundation for Scientific Research (NWO; 1995-1998), and Lecturer of Political Theory & the Philosophy of the Policy Sciences (1998-2005). In addition, he taught as a guest lecturer in the Department of Political Science of the University of Leiden and as a temporary lecturer in social and political philosophy at the University of Groningen (1999-2000). From 1999 to 2001, he was also part-time staff member of the Faculty's research school, then called Nijmegen Centre (NICE) for Business, Environment and Government. In 2004, his interest in environmental philosophy and green political theory resulted in a second job. 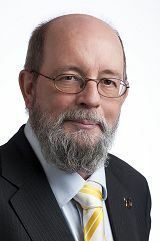 From 1 September 2004 to 1 September 2009, he was the Socrates Professor of Humanist Philosophy (full title: 'in particular with regard to the relation between humanity and nature') at Wageningen University and Research Centre, Wageningen, the Netherlands. For more information on this position, see Socrates Professorship. From January 2006 to December 2009, he was 'Professor of Political Theory, in particular political and personal autonomy' in the department of political science at Radboud University. In this temporary position, his task was to rejuvenate and boost both research and teaching in political theory. For his plans with this chair, see Political Theory Professorship. On 1 December 2009, the professorship became permanent, and the title was abbreviated to 'Professor of Political Theory'. 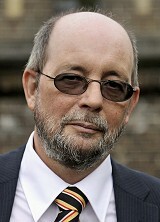 Since September 2011, he also serves as Chair of the Nijmegen Department of Public Affairs & Political Science. Offering new opportunities for research and teaching in environmental political theory, not to mention staff and student exchanges with Nijmegen, Marcel Wissenburg was granted the title of Visiting Professor at the Research Institute for Law, Politics & Justice of Keele University in Keele, Staffordshire, UK per 1 July 2009. Despite brief but serious attempts at doing something else somewhere else (from related subjects at other universities to genealogical research in Germany), he now admits to being hopelessly addicted to political theory and having fallen deeply in love with Nijmegen - even though the natives speak Dutch with a horrible accent. For an in-depth introduction to the Wissenburg phenomenon, try Wissenburg for dummies. The information on this website is not a substitute for diagnosis and treatment by a qualified, licensed professional. By the way, my name is Wissenburg, not Wissenberg.